William Garmisa is a seasoned general business counsel to individual entrepreneurs, closely held corporations and mid-sized companies. He has a wealth of experience in the formation of business enterprises, including corporations, partnerships and limited liability companies; mergers and acquisitions; and succession planning. 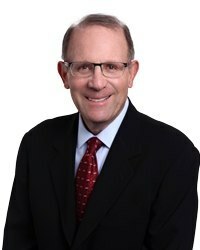 Incidental to his general business practice, Billy has provided counsel and advice regarding debt and equity financing, employment agreements, confidentiality agreements, consulting agreements, shareholder agreements, real estate acquisitions and developments, real estate leasing, software licensing, equipment purchasing and leasing, and a broad range of other commercial activities. Billy was born in Chicago in 1943. Upon graduation from the University of Michigan Law School, he participated in the first VISTA (Volunteers in Service to America) lawyer program sponsored by the federal government. He joined Aronberg Goldgehn Davis & Garmisa in 1970, became a partner in 1976 and served as the Managing Member from 1993 through 2008. He holds the AV® Peer Review Rating from Martindale-Hubbell, its highest rating for ethics and legal ability. Also among his accolades, since 2004 Billy has been recognized annually as a Leading Lawyer in Banking & Financial Institutions Law and Closely & Privately Held Business Law by Illinois Leading Lawyers. He has also been named as a Super Lawyer in Business/Corporate Law since 2005 by Illinois Super Lawyers, a designation awarded by peers to only 5 percent of Illinois attorneys. When he's not practicing law, Billy enjoys hiking, biking and golfing. What is your favorite thing about working at Aronberg Goldgehn? The high professional standards and collegial culture. What is one item on your bucket list? A trip to New Zealand.